Ronnie O’Sullivan is in action this evening at the Welsh Open and looks certain to reach the third round untroubled, while Joel Walker and Joe Perry have already won two matches to reach that stage and should also be backed in our Newport treble below which pays out at just over 4/1. Ronnie O’Sullivan makes his first appearance since only losing seven frames en route to his fifth Masters title and his Welsh Open second round opponent Barry Pinches looks out of his depth. Nothing over the last two years has suggested that a break from the game does anything to blunt the Rocket and if anything his ‘pick and choose’ approach to the schedule has helped him reach new heights. 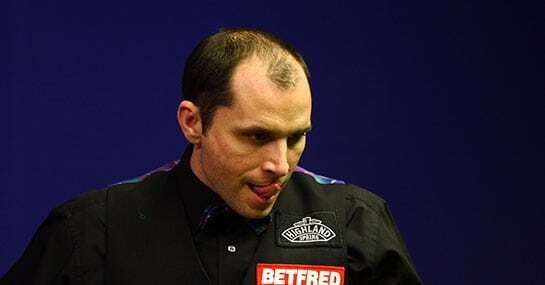 Both players recorded straightforward victories in the first round, the win being only Pinches’ second consecutive positive result of the season after overcoming Martin Gould to qualify for the main draw of the China Open the day before. However, despite that it’s impossible to envisage anything but a comfortable win for the favourite. O’Sullivan is at peace in his mind and that spells danger for his rivals as that side of the game was the only thing stopping him dominate the sport more than he has been able to. That has all changed now and it would be no surprise to see a margin of victory similar to three of his previous meetings with Pinches where the scoreline has been 5-2. Obviously in this best-of-seven format even the great O’Sullivan might struggle to notch five, but anything around -2.5 on the handicap should be taken. A match between two players at the opposite end of snooker’s timeline with 19-year-old Joel Walker looking to book a place in the third round at the expense of 44-year-old James Wattana. In only his fourth year on the tour, Walker has already impressed many with some devastating performances including whitewashes of established pros Mark King and Robert Milkins this term. And he has already shown his mental resilience this week, twice coming through a deciding frame to set-up this third round clash. He won’t be daunted by progressing in Newport either having reached the quarter-finals of a European Tour Event earlier in the campaign. This all encourages investment for the younger man as despite Wattana showing some signs of the form that took him to number three in the world back in 2005 his added experience has probably been overrated by the layers, especially considering the quick-fire format which he would be no more used to than his opponent. Wattana whitewashed Matthew Stevens to reach the last-64 of the China Open just before this event which shows he is playing well, however, Walker will be a fixture in the game for many years to come and this should be further example of why. Despite only leading their 16-game head-to-head by one game Joe Perry has had a strangehold over his personal history with Stevens for some time. You have to go back seven matches and a decade since the last time the Welshman triumphed over Perry which may not be that shocking considering it has been in the last ten years since Stevens has struggled for any consistent form. And the advice is not to bet against the grain here and invest in The Gentlemen to further cement his dominance and reach the third round. The 39-year-old survived a scare in his last-128 match before demolishing Liu Chang 4-0 next up, while Stevens has been less impressive in defeating unfinished articles Adam Wicheard and Ian Burns. Perry is having the much better season as well, reaching seven quarter-finals including a win in Event 1 of the Asian Tour. Conversely, Stevens continues to struggle for any weekly rhythm and his confidence is a massive question mark. With only one semi-final to speak of all campaign it’s tough to talk up his chances against someone operating with much more belief.